The talented artists who call themselves Rose-Compass (click their name for their website) are: Nicole Strasburg, Holli Harmon, Connie Connally, Pamela Zwehl-Burke, Libby Smith and Nina Warner. They each have their distinct creative points of view but the medium of gouache and the watershed unite them. They have been painting and exploring for several months already and routinely post blogs about their adventures and musings. The artists were originally inspired by an exhibition at the Wildling in 2014 that celebrated wilderness areas via the artistic explorations of Pennsylvania artist Thomas Paquette. 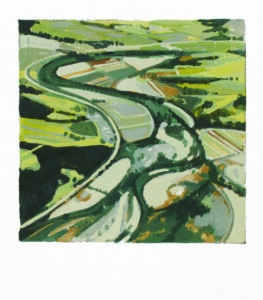 Thomas works both large and small scale and has developed interesting techniques in working with the medium of gouache (pronounced "gwash"), which is essentially an opaque watercolor. The artists who eventually came together as the Rose-Compass were so excited and intrigued by his use of gouache that they started doing paint-outs and gatherings to experiment with it. That then evolved into working with the Wildling on this significant exhibition. Thomas was a guest artist and had two paintings in the show that featured views of the Mississippi River--his upcoming show. Grateful thanks to the Elizabeth Firestone Graham Foundation in supporting the catalog project as well as Frank Goss. 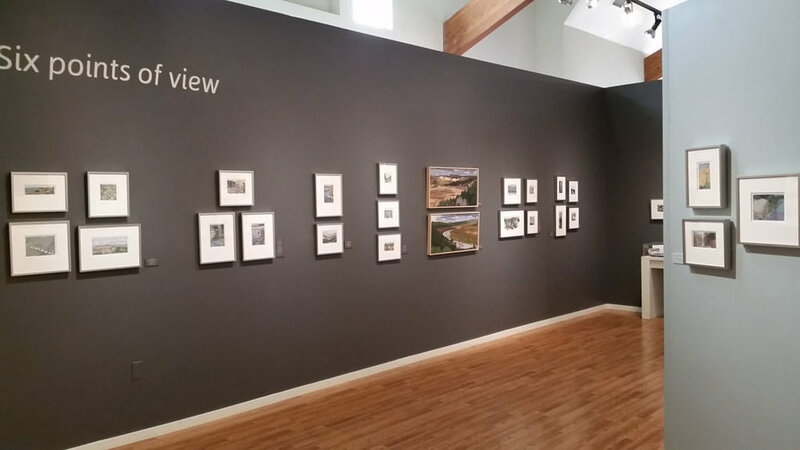 Additional thanks to the City of Solvang for their grant to support the exhibition as a whole.